Add beauty and elegance to your backyard patio or deck by installing an outdoor grill. 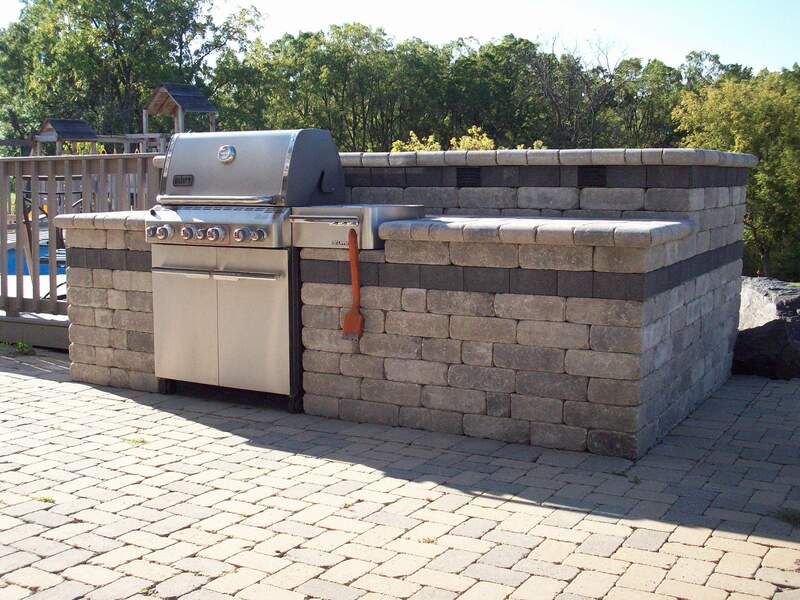 Is there an outdoor kitchen or grill in your future? Just give us a call and we will be happy to provide you with an estimate! Our office number is 608-924-2065. Or, fill out the form on the Contact Us page as we will get back to you promptly! This beautifully built grill has lots of counter space on both sides of the grill for working with the foods you are cooking. This also features an area to hang your grilling utensils. When all the food is prepared, the abundant counter space makes a perfect space to set up a buffet!